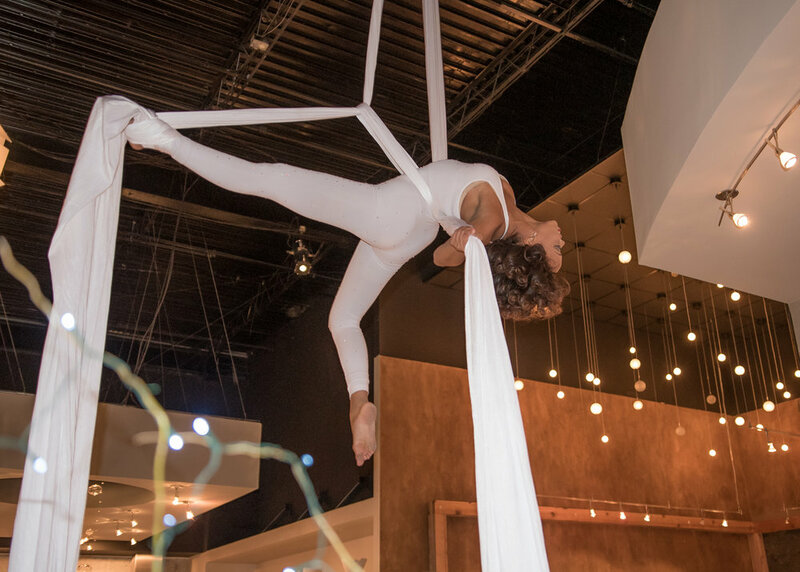 Experience the beauty of the Inspire Angels! 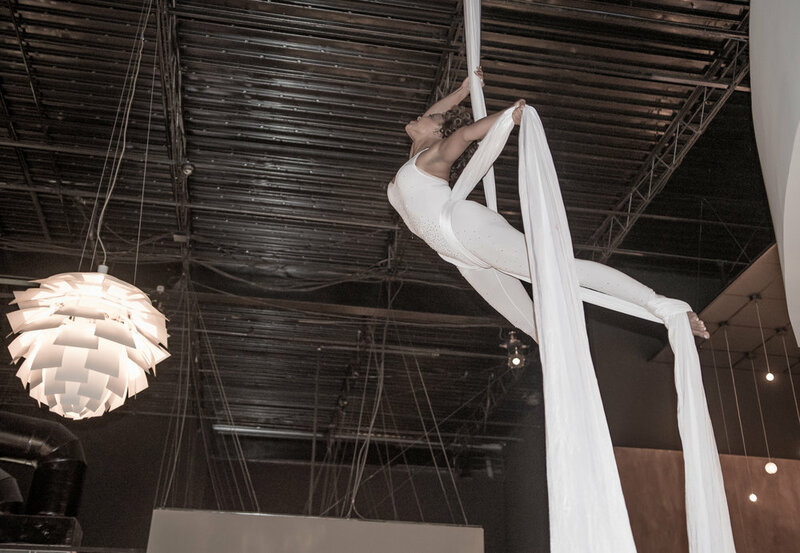 We are a troupe of professional aerial and cirque artists who have performed to international and national acclaim and specialize in providing professional cirque and aerial acts for all of your entertainment needs. 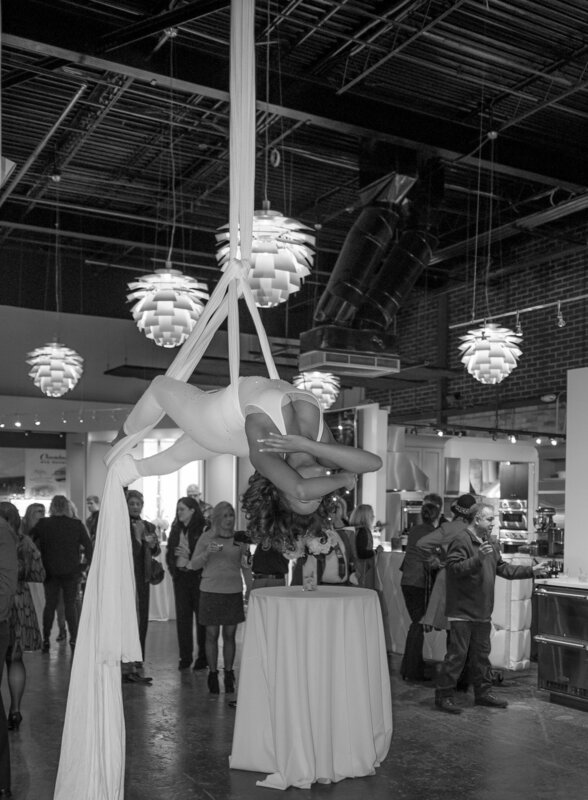 Whether corporate event, private party, wedding or fundraiser, our Angels will leave you breathless with their grace, skill and passion. 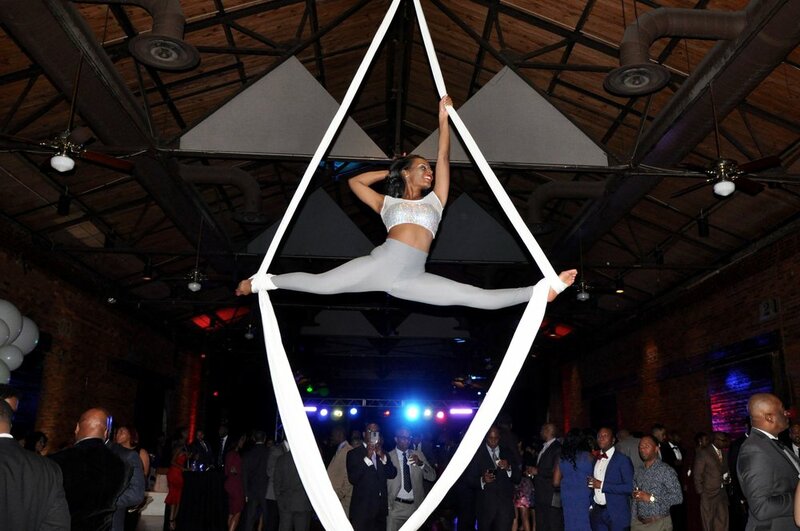 Allow us to mesmerize your audience and lift your event to even greater heights! We offer skilled artists in the following areas. Aerial fabrics rehearsal for the AKA anniversary boule.